You thought you understood. But did you? You decide to invite your colleague, Laura, to have dinner with you this Saturday. After hesitation with an “Umm”, she tells you “Well, I guess I’ll have to think about it”. You go away happy that Laura is considering your idea of having dinner this weekend. Laura looks as if she’s taken by surprise. She replies “Oh about that…Umm, well I’m afraid I won’t be able to make it this weekend”. You thought you understood. You thought that when Laura said she’ll think about it, she was probably going to take a look at her schedule and tell you ‘yes’ the next day. While there are no hard and fast rules, when a native English speaker says they’ll think about something, it shouldn’t always be taken at face value. There are sometimes clues which can let you know if the person is really going to think about it or not. Laura hesitated by saying “Umm” before responding. The next thing she used was a conversation filler “Well, I guess” as a way to soften her answer. These are indicators that Laura was leaning more to the side of not coming to dinner. Of course, it differs from person to person and country to country but in general, native English speakers are well known for hedging, beating around the bush and sugar coating things. To say we like to be polite would be an understatement. 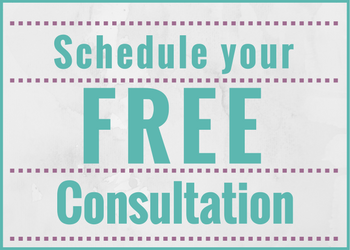 The inspiration for this blog post came when I recently came across a Buzzfeed article. Below is a copy of the infographic taken from that article. 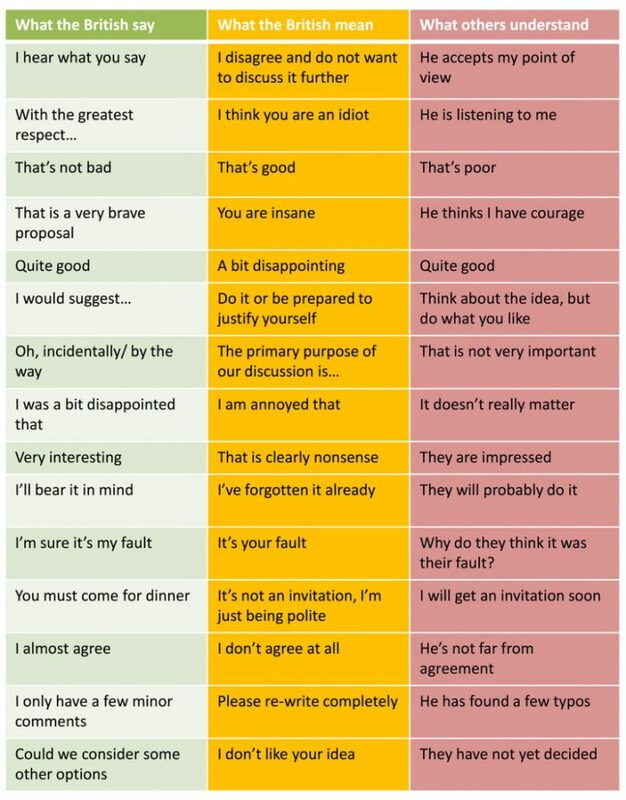 It shows what British speakers say, what they really mean and unfortunately what others sometimes think they mean. Now even though the article references British English speakers, a lot of the statements are true for other native English speakers. Are you like the Dutch? Beating around the bush is a way to avoid giving a direct answer. We often do this as a way not to be harsh or blunt and therefore as a result, not to hurt a person’s feelings. We like to make our comments as nice and as tactful as possible, especially when it comes to giving feedback. I try to avoid asking a Dutch audience for criticism after my workshops; the experience is much the same as being machine-gunned. The Dutch are direct, yes, I think most Dutch people and Netherlands-based expats would agree on that. Many internationals would probably add that they are often blunt to the point of being rude. The Dutch (in general) say things as they are, they don’t mince words or beat around the bush. They say it straight up and direct, whether it’s feedback from your manager, a comment on your new hairstyle or the simple (but direct, with no explanation) “no” when you ask someone for a favour. Is your culture like that of the Dutch? If it is, you need to start learning more about the culture behind the English language so that you can start thinking more like a native English speaker. This expression, as used by Laura above, is diplomatic speech for “No. I’m not coming.” It softens the negative response and leaves the door open for other invitations in the future. This is used when you want to politely disagree with someone. Chances are that you don’t understand or agree with the person’s point of view but you want to keep things civil and show that you respect the other person’s right to an opinion. Unlike the Dutch mentioned above, we usually give a reason why we can’t do something. Perhaps we’re busy or have a prior commitment. Furthermore, by saying that you wish you could help, it softens the blow of saying no. Now that you are aware of this, what should you do? 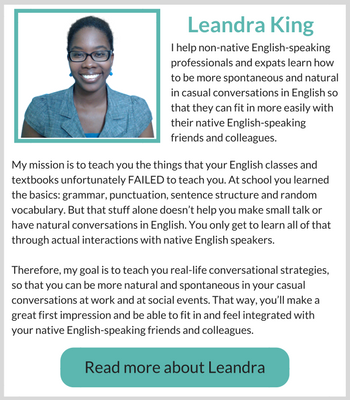 Because of non-native speakers taking things at face value, there has been miscommunication in the workplace. 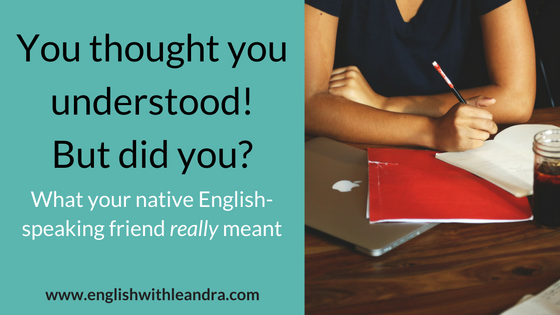 So the next time a native English speaker talks to you, don’t take everything they say at face value. Look to see if there may be an underlying message. Want to learn even more about these things? This is all a part of understanding the role that culture plays in the English language. What you say will seriously affect your relationship with native English speakers, whether positively or negatively. 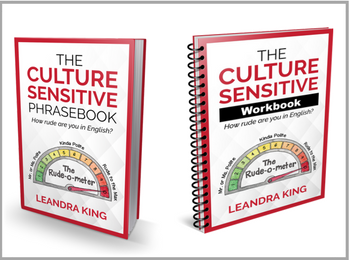 That’s why I created The Culture Sensitive Phrasebook and the accompanying workbook. 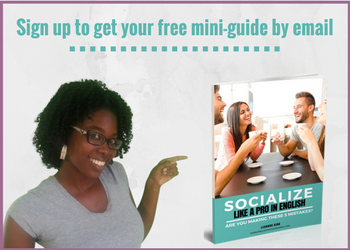 I want to help you be more polite in English so that you won’t offend or upset native English speakers. If you found this post helpful, I’d greatly appreciate it you could share it with your friends by clicking on one of the social media icons below. Thanks in advance!